Oregon Drug and Alcohol Treatment Facilities. Are you looking for Oregon Drug and Alcohol Treatment Centers? Our listings listed below can help. Drugs are not only sold in Oregon but the state is also a semi-major transshipment hub. Drugs are smuggled into the state with the purpose of being distributed to other parts of the country and also Canada. Washington, Minnesota, Montana, New York and Illinois all receive drugs from Oregon. The biggest threats in terms of drug abuse and distribution are cocaine, marijuana, club drugs and heroin. Cocaine is used and trafficked throughout the state. The powder from of the drug is most popular while crack cocaine is mostly sold in inner cities and metro areas. Much of the cocaine shipped into Oregon comes from California, Mexico and the Southwest portion of the United States. Once it reaches Oregon, it is sold by various street games and trafficking organizations. The predominant type of heroin sold in Oregon is Mexican black tar. Trafficking organizations from Mexico dominate the trade. On the street level, motorcycle and Mexican gangs are mostly responsible for distributing it. Methamphetamine is one of the most commonly sold and used drugs in Oregon. The availability of high potency methamphetamine, known as a crystal or ice, is increasing and has become a cause for concern largely because of the potency of the drug. Club drugs also pose a big threat to the state. LSD, GHB, ecstasy and Ketamine are all available and used mostly on college campuses and in metro areas. Marijuana is the drug used most in Oregon. Quite a bit of it is cultivated right in the state. However, even more of it is imported from Mexico and Canada. Percodan, Oxycontin, Percocet, Lortab, Vicodin, steroids and Methadone are the most commonly abused prescription medications in Oregon. There illegitimate use has become quite problematic and is a concern for law enforcement. Individuals are obtaining these drugs through pharmacy, hospital and nursing break-ins and thefts. Doctor shopping and the forgery of prescriptions are other common ways that people are able to attain these substances. 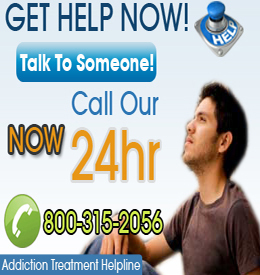 Choose a City to Find Addiction Help in Oregon.